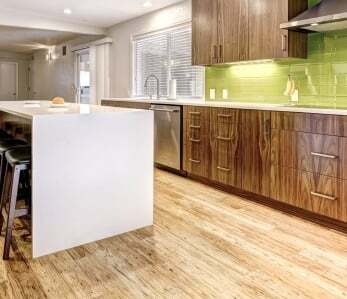 Bamboo flooring is truly unique. 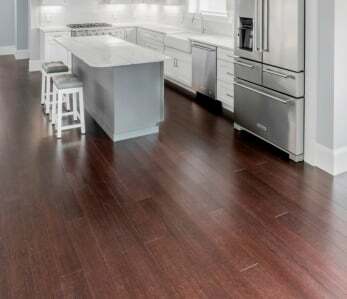 An amazing alternative to other flooring types, bamboo flooring offers a host of benefits—it’s gorgeous, eco-friendly, easy to install, and even costs less per square foot than traditional hardwood flooring options. If bamboo flooring sounds appealing to you, here are some of our favorite ways to incorporate it into residential spaces. The entryway is one of the most important areas of a house. This is where you, your family, and your friends get a first glimpse into your living space. 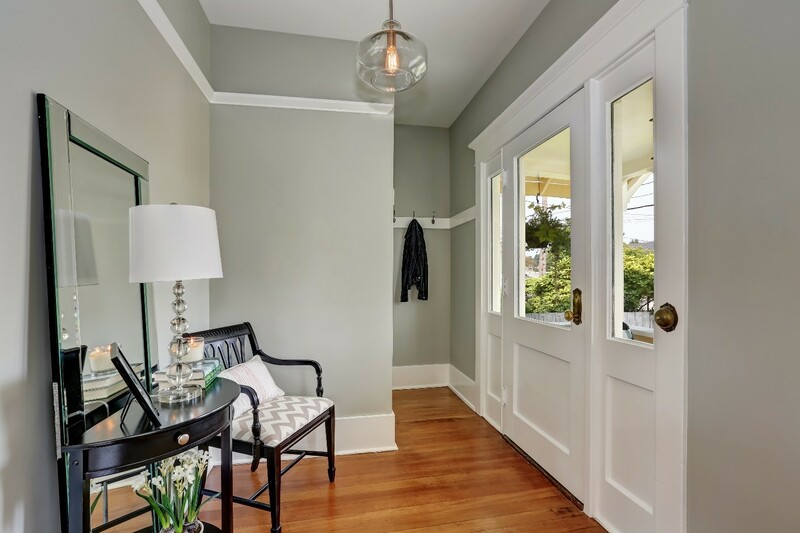 As the introduction to the rest of your home, it’s important to properly design and decorate the entryway. Durable, elegant bamboo flooring helps you make the best possible impression. It effortlessly mimics the appearance of traditional wood and sets the foundation for a sophisticated ambiance. 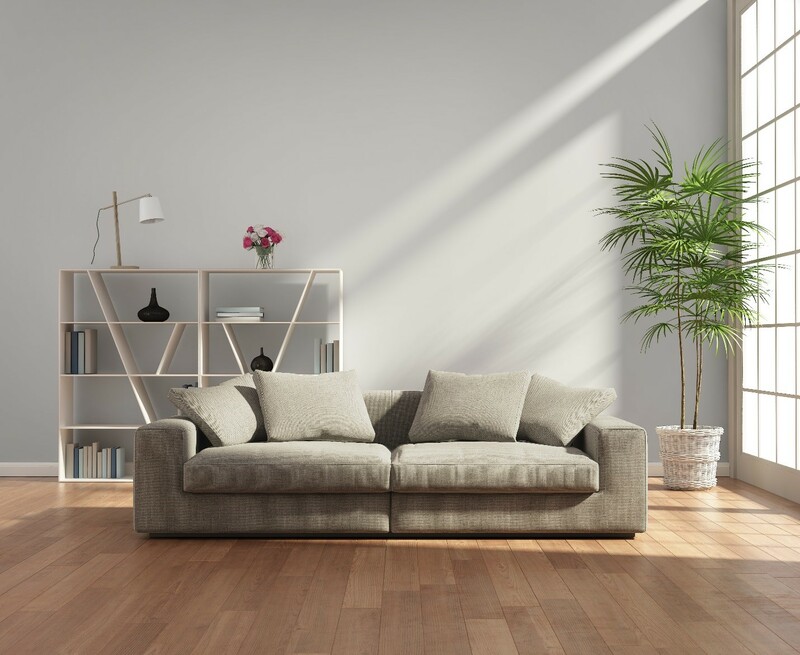 Bamboo floors are also easy to maintain; it’s normal for bugs, dirt, and water to occupy this space, but bamboo is water resistant and difficult to damage. If you want to install easy-to-clean floors that make a radiant statement, try bamboo. Bamboo flooring makes a stylish, contemporary statement in any living area. 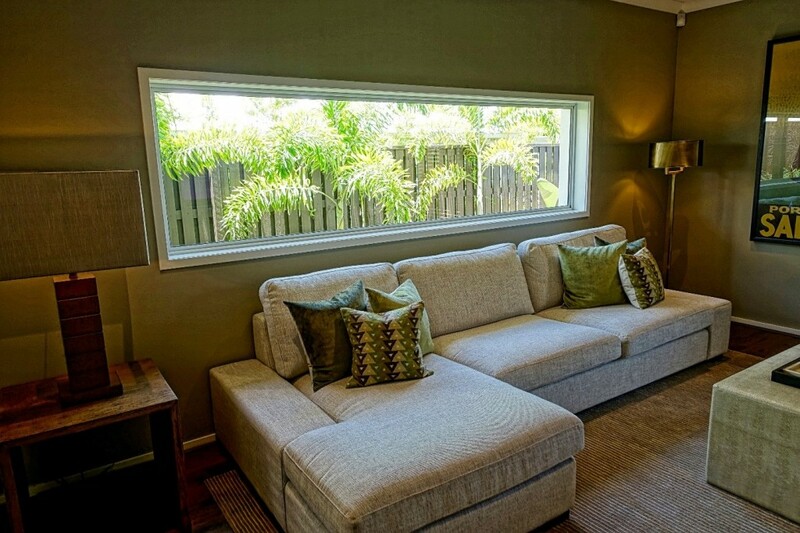 It gives the illusion of more open space, and it acts as the perfect base for furnishings. Bamboo flooring doesn’t necessarily need refinishing; however, you can refinish it up to four times if needed. Essentially, you can refinish your bamboo floors, but it’s highly unlikely you’ll need to—even after years of use. Strand woven bamboo flooring looks beautiful year after year, offering the same “warmth” as traditional hardwood without the upkeep. Bamboo flooring is also safe for pets; you just need to clean up any accidents as quickly as possible to prevent permanent damage.
. Generally, kitchens are high-traffic areas, so you want a floor that’s tough and dependable. Bamboo flooring can withstand scratches, scuffs, and other damages better than other flooring types. It’s also denser than hardwood, which means it’s a solid choice for even the most active families. Go ahead, let your kids bring their friends over—bamboo can stand up to all the foot traffic! Did you spill something? That’s okay—bamboo floors are naturally water resistant! Bamboo floors are also easy to clean because they don’t trap dirt and allergens. The only thing you’ll need to keep in mind is that you’ll need to wipe up puddles within 24 hours. Small droplets of water will evaporate, but bamboo is water resistant, not waterproof. 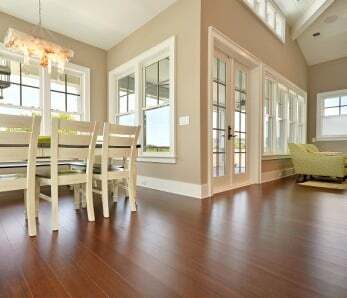 Bamboo flooring requires less maintenance than traditional flooring options, which gives homeowners more time to sit back and relax. There’s no special way to clean bamboo floors—simply sweep or vacuum, and then follow up with a damp mop and a mild hardwood floor cleaning solution. You don’t even need a steam mop! 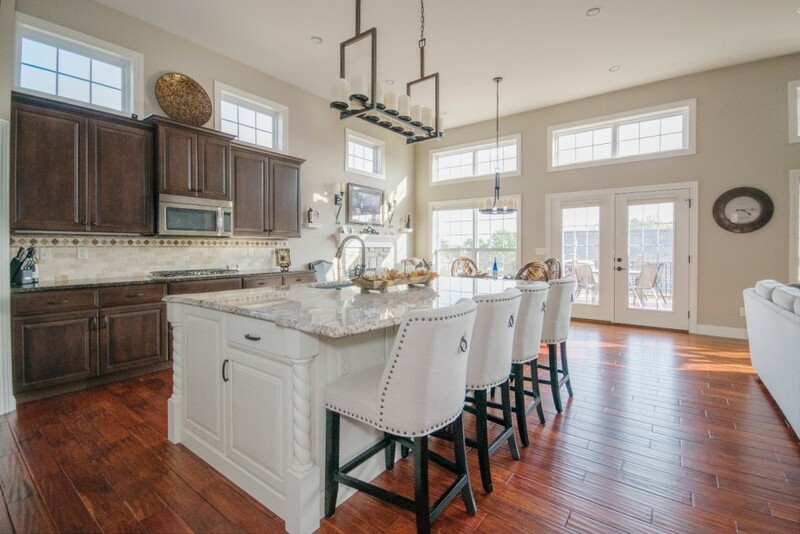 As long as you regularly clean your floors, they’ll look beautiful year-round. 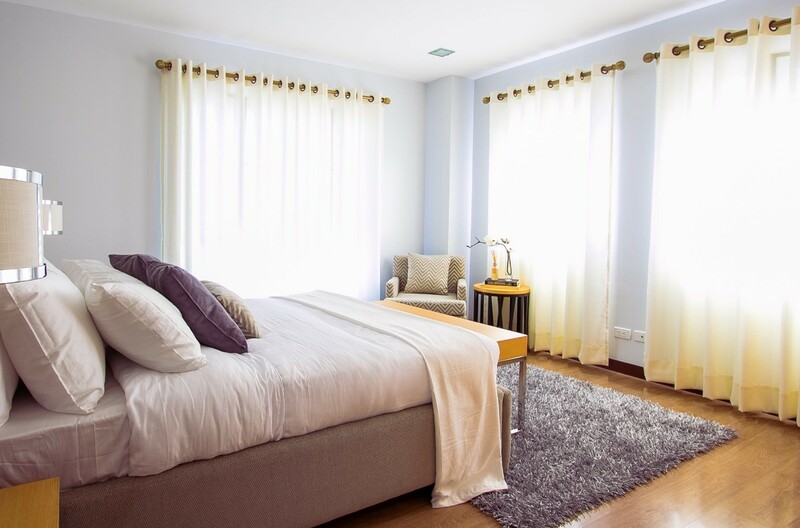 It’s no secret that people spend a lot of their time in their bedrooms, so we understand why you’d want the best flooring for these personal spaces. Bamboo flooring offers a clean, modern look, creating a strong foundation for a beautiful bedroom. It’s also a great choice for any bedroom because it’s three times more durable than traditional wood floors. When choosing a new bedroom floor, it’s important to keep health at the forefront of your mind—and there really isn’t a better flooring option for the bedroom. If you or your kids have chemical sensitivities, meets the highest indoor air quality standards. We test our bamboo floors annually to ensure that they don’t contain any harmful chemicals. Did we mention the stress-free installation? Our floors come prefinished, so you can remove the planks and secure everything like you would with hardwood floors. We also offer click-lock options, which don’t require nails or glue. There’s no need for dangerous on-site finishing, so you can enjoy your new floors right away! Yes, you read that right. You can install bamboo flooring over concrete and other subfloors. People often overlook their basement’s appearance and settle for carpet or tile, but you don’t have to settle with attractive bamboo flooring! 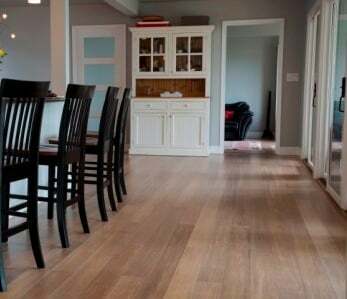 You may be thinking, “Isn’t a basement prone to water damage, and won’t that damage my floor?” Actually, if you use engineered bamboo, you can create a very water-resistant floor. Remember, bamboo is a grass, so a bamboo floor won’t absorb as much liquid as hardwood. Engineered bamboo flooring looks and feels like the natural material—it just offers more protection against moisture and humidity. If you want to refinish your basement, consider installing bamboo flooring. 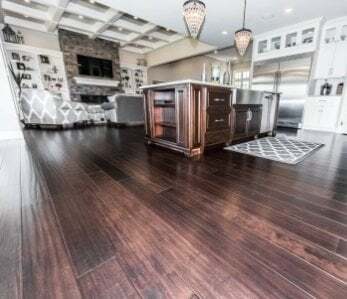 There are a variety of colors and textures out there; no matter the vision you have for your basement, your new floors will seamlessly complement your furniture and décor. To ensure your floor looks its best for longer, we suggest controlling your basements moisture levels with dehumidifier. No matter where you live, you can install bamboo flooring just about anywhere in your home besides wet areas, such as bathrooms. You’ll get the same look and feel as hardwood, but with little to no fuss and plenty of cost- and time-saving benefits. Trusted by thousands of companies and homeowners worldwide since 2005, Ambient provides premium bamboo floors at reasonable prices. We remain an industry leader because we’re dedicated to the quality and safety of our products. Our flooring is Floorscore® certified, and it maintains its integrity. It never warps, shrinks, or expands because we only use the best raw materials. We sell directly to our customers, and we offer a lifetime warranty on our flooring. Even our employees have Ambient floors installed in their homes! Ambient Bamboo is your destination for Earth-Friendly Floors at People-Friendly Prices®. We’re a one-stop shop, meaning you can buy your flooring, molding, and other installation supplies at the same time. There are numerous to choose from, so select your favorite texture and finish to beautify your home. Order a from our bamboo flooring manufacturers today!